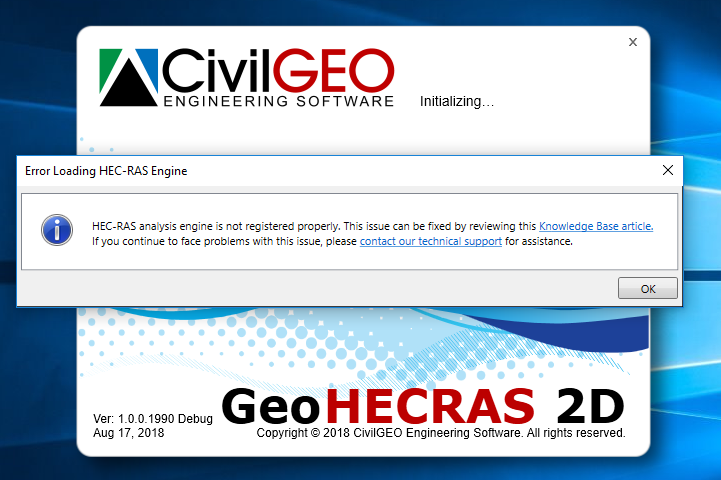 This article describes how to fix the HEC-RAS analysis engine loading error when launching the GeoHECRAS software. While GeoHECRAS is starting up, it checks to see if everything is properly installed and functioning. Part of that startup check is to make certain that the HEC-RAS controller and analysis engine DLLs are registered for use with GeoHECRAS. If not, the software will display the following error message. Sometimes installing other software or other versions of HEC-RAS can cause Microsoft Windows registry entries for the HEC-RAS controller and analysis engine DLLs to be changed so that GeoHECRAS cannot access them. The following methods can be used to resolve this issue. 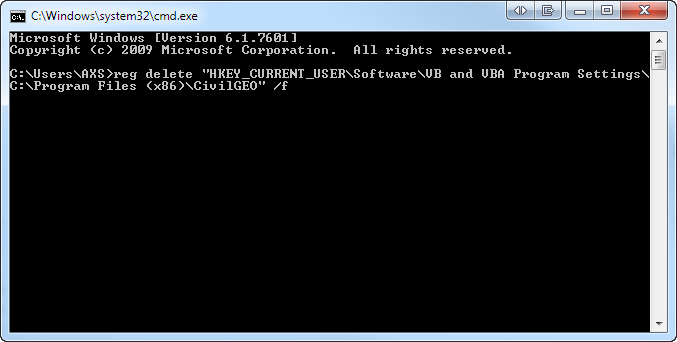 This method uses a batch file to update the HEC-RAS registry entries so that GeoHECRAS can load the HEC-RAS controller and analysis engine DLLs. Exit GeoHECRAS if it is running. Start Windows Explorer and navigate to where the file has been saved to. Rename the downloaded HECReg.txt file to HECReg.bat. 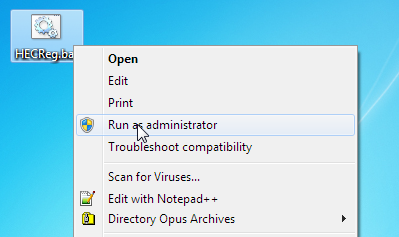 Right click on the HECReg.bat file and select Run as administrator from the context menu options. 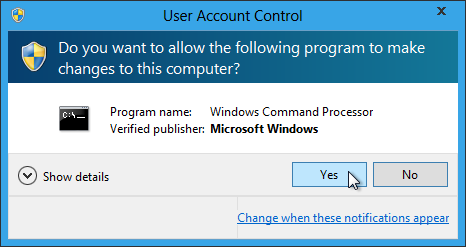 A User Account Control message box will be displayed. The batch file will update the registry entries and then quit. If Method 1 did not work, then uninstall and reinstall GeoHECRAS. This should correct the issue. In certain conditions, a simple reinstall of GeoHECRAS will not correct the issue. In this situation, a forceful reinstall of the software will correct the issue. Click on the Windows Start button to display the Windows Start menu. Open the Run dialog box and type CMD. Then click on the [OK] button. A command window will be displayed. The command prompt should display the message The operation completed successfully. Close the command window and reinstall GeoHECRAS. If the previous methods did not work or you want assistance, please contact our technical support. A team member will gladly assist you by logging on to your computer remotely and performing the necessary steps to correct the issue.